We are really pleased to let you all know about our newest collaboration, and this time around we have worked with retail giants, QVC. They have used our technology to enhance their ‘Weekend Style’ video, and to try and engage their audience through new means. All of the products are live on the website and available to shop directly from the pop-up. 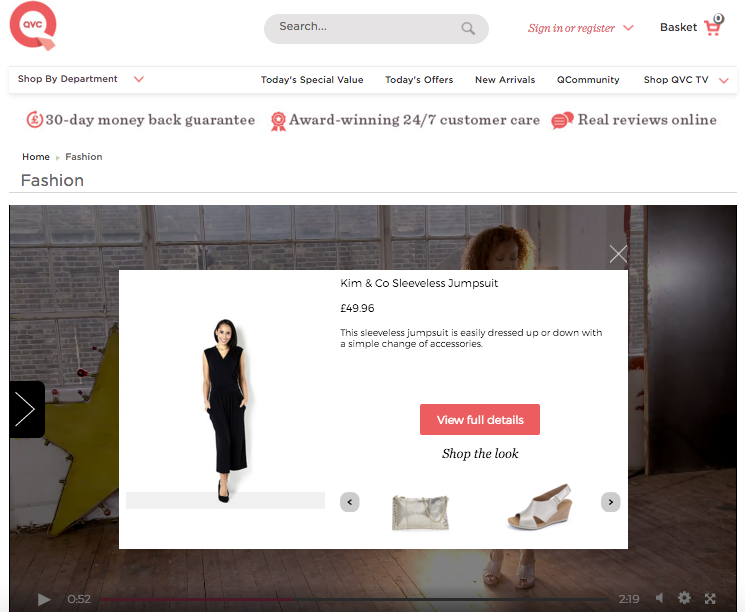 Viewers can even shop the entire look if they wish, as we have included all of the products in the look within the customised QVC pop-up. This makes it even easier for their customers to get the products, or possibly even the entire outfit, that they want. We are so pleased with how this has turned out, and we think it looks really great placed on the Fashion section of their website. We hope the QVC customers love it too, and take this opportunity to make their shopping experience quicker and easier. You can check out the video for yourself HERE.